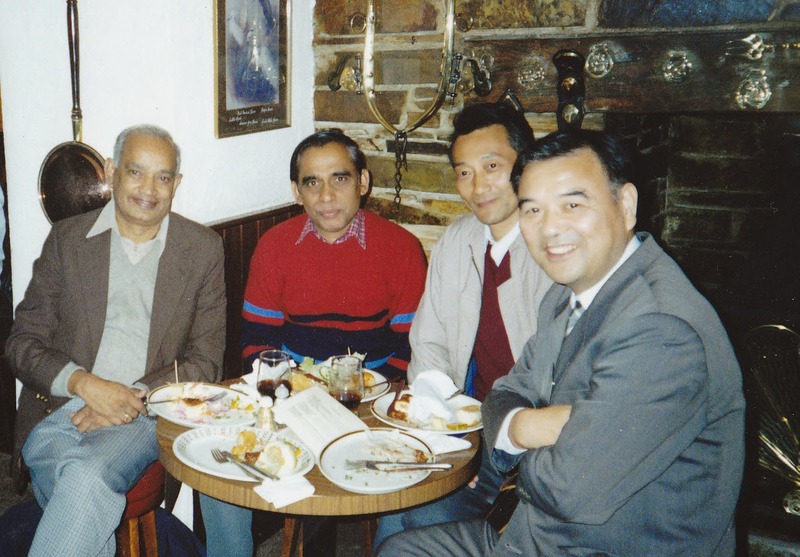 MEI Blog: It's official: Prof TC Rao is the "Father of Indian Minerals Engineering"
I have known Prof. Tadimety Chakrapani (TC) Rao for almost 30 years, ever since, in his capacity as Head of the Department of Fuel and Mineral Engineering at the Indian School of Mines, he invited me to Dhanbad in 1989 to present a course of lectures. Even then I was aware of his reputation and of his early pioneering work on modelling, particularly of hydrocyclones, with Prof. Alban Lynch at the JKMRC in Australia. We have kept in touch since then and he was in Cornwall in 1991 for Reagents '91. Our last meeting was at the IMPC in New Delhi in 2012, where the chairman of his keynote lecture introduced him as "the Father of Indian Mineral Processing". In 2014 it was my privilege to interview him for the MEI Blog (posting of 16th July 2014). Now I am pleased to report that during the inaugural function of the XVII International Seminar on Mineral Processing Technology (MPT-2018) on 10th October 2018, Prof. Rao was conferred the honour of "Father of (Indian) Mineral Engineering". The citations read "In recognition and appreciation of immense contributions to the mineral and coal processing education, research and industry in an illustrious career spanning three decades, IIT(ISM) Dhanbad & IIME are honoured in conferring the award of “Father of (Indian) Mineral Engineering” on Professor Tadimety Chakrapani Rao". Congratulations TC on behalf of us all at MEI. Thank you all at MEI. Its nice to see the MPT-2018 Felicitation of Prof.Rao in this esteemed International platform. Its always a great pleasure to follow the blogs to get an update. It was a great moment to see Dr.Rao got felicitated at his own creation / temple where he started. Congratulations to him and a proud moment to all Mineral Engg. faternity in India and abroad. Hope many more such laurels to come on the same way on such platforms from India. 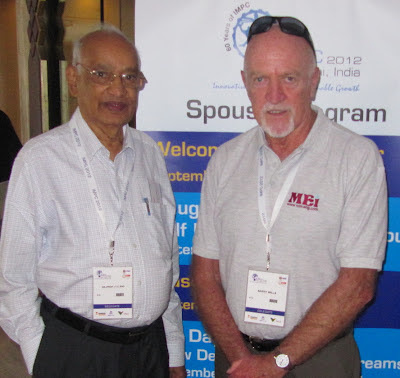 I am delighted to see that T C Rao is being honoured for his great contributions to Mineral Processing. I will make a few comments. Rao and I worked together in the UQ Mining Department in the 1960s. It was the time that cyclones were replacing rake classifiers and the cyclones were poorly constructed and gave poor results. MIM encountered difficulties with cyclones so they built a cyclone test rig to try to identify the problems. MIM led by Jim Foots was then starting its time as a world leader in mining technology. Rao and I took the test rig over and we used the rig as a test site. Rao spent many months carrying out experimental work changing flow rates, vortex finder and spigot diameters, and feed solids contents. We did all the sampling and sizing ourselves and we spent the weekends trying to make sense of the results. Our tools of trade were graph paper, a ruler, a hand calculator and the coffee pot. There were many vigorous debates. The surprising conclusion to me 50 years later was that the model we produced worked well and is still used with few minor modifications . I do not think that we realised during the early work the importance of being able to link the cyclone and ball mill in a closed circuit but that became apparent as work proceeded. 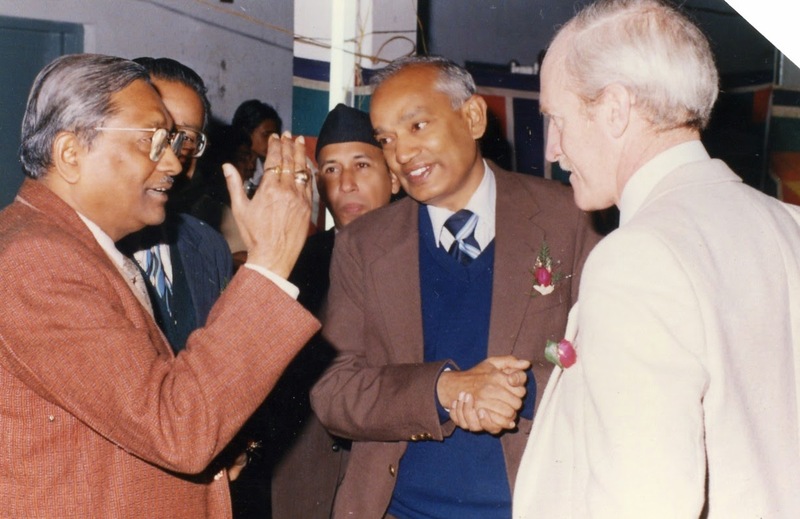 Rao has done great work in many areas of mineral and coal processing but I still regard with satisfaction the work he and I did on the development of the cyclone model. Mineral Engineering fraternity is proud to be blessed by the Professor of eminence TC Rao. We are proud to be associated with the legend Prof TC Rao. Many many congratulations to Prof. T C Rao for his creation of Mineral Engineering course at Bachelor level in India at ISM. He is one of the renowned Mineral Engineer in World and truly deserved for the feather "Father of Mineral Engineering in India". I would like to thank Dr Wills for this publication at MEI platform.